You know when Cher sounded like a robot that had IRN-BRU poured into it on Believe? Imagine that vocal effect put over the best party metal you’ve ever heard in your life. The most insanely hyperactive yet unavoidably catchy metal imaginable. The stand out band on this list and the best band from Japan to not yet make it to our shores. Look! Use your eyes and look at them! They’re WOLVES! That play MUSIC! Yeah, you heard us, Man With A Mission are an alternative pop band that sound like the kind of euro dance you hear in cafes while on holiday but with metal behind it…but they’re JAPANESE and they’re WOLVES! DISCLAIMER: They’re not actually wolves. They’re blokes dressed up as wolves. How can you make power metal that little bit more bombastic? 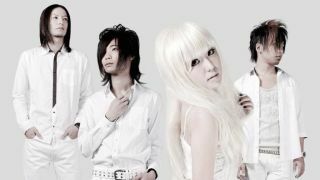 Track down a Japanese power metal band, of course! Galneyrus’s music is all double-kick bluster, wailing and screeching solos and a male vocal that sounds like rainbows. If you like Dragonforce, you’ll love this. Similar vibes to NOFX and all the best parts of 90’s skate punk, there’s an unrelenting pace to TOTALFAT. There’s a hint of early Blink here, and touches of the likes of Home Grown and No Use For A Name: basically if you like wearing checkered Vans and massive shorts, we reckon you’ll dig this. Big on thrash metal drums, gang vocals and a penchant for all things two-step, SiM are very difficult to categorise. Having said that, there’s a distinct Skindred feel to some of what they do as they use similar rhythms and there are forays into reggae and dub so if you’re a Ragga Punk fan, give SiM a whirl. We recommend Blah Blah Blah cos it’s a massive tune. Massive in their homeland - 2012 single The Beginning, below, has had 26 million YouTube views - ONE OK ROCK have begun to launch an assault on America by playing this year’s Vans Warped Tour. Musically, they’re cut from the same cloth as 30 Seconds To Mars and have a sound that’s perfect for montages of people running in slow motion. Having said that, they’re on Knotfest Japan so they have enough metal cred to be included here. With more in common with the likes of Red Jumpsuit Apperatus, Pierce The Veil and Story Of The Year than anything else in this list, My First Story are perhaps the most westernized band on this list but their YouTube views are in the millions so we thought we’d include them for your consideration. Alternating between diarrhea-inducing growls and sweet as sugar melodic vocals, Dazzle Vision are lead by Maiko, a female vocalist bursting with versatility and character. Founding the band with her brother Takuro, Dazzle Vision incorporate electronica straight out of the arcade, elements of dubstep, high-tempo J-rock and an inescapable sense of fun. AND IF YOU’RE HUNGRY FOR MORE J-METAL, CHECK OUT FOUR MORE FEMALE-FRONTED JAPANESE METAL BANDS HERE.